Well done for taking the time to research proper goldfish care! You’ve taken the first step to helping your goldfish live longer, so read on or jump straight to a goldfish care article using the links below. Unfortunately, many people don’t bother to find out about proper goldfish care, and think that goldfish can simply be kept in small, unfiltered bowls. This is one of the biggest goldfish care mistakes new goldfish keepers make. Often, this isn’t the fault of the person caring for the goldfish, but the fault of pet shop staff. 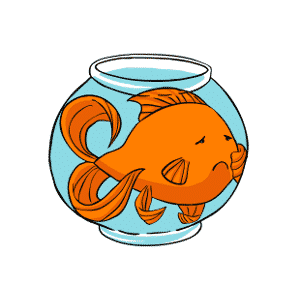 The sad fact is that there are far too many pet shops still selling small bowls (some places have banned this, but unfortunately it’s still legal in many countries) and far too many ill-informed pet shop employees that give very bad advice to inexperienced goldfish keepers. 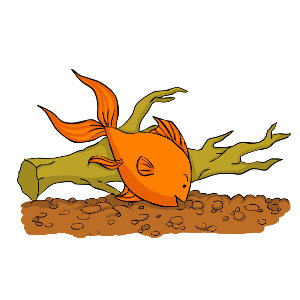 This inevitably leads to poor goldfish care, goldfish living very short lives and some very unhappy fishkeepers. So, whether this is your first experience of keeping goldfish, or whether you’ve made some of these common mistakes in the past: well done for putting the effort in to learn about goldfish care and get things right this time! To keep goldfish healthy and happy, you of course need the right equipment. This includes essential kit such as a big tank, a filter and a supply of nutritious food. Check out our recommended products here and make sure you have everything you need! 3. Tank Size: Do goldfish need a big tank? 6. Filtration: Do goldfish need a filter? 7. Air pumps: Do goldfish need an air pump? 8. Goldfish Food: What do goldfish eat? 9a. Water Quality (part 1): What’s the big deal? 10. Lighting: Do goldfish need an aquarium light? 11. Temperature: What is a suitable goldfish tank temperature? 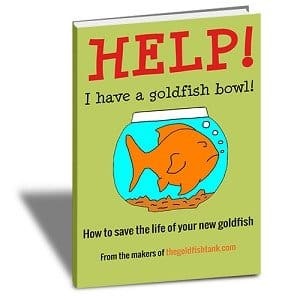 Read all of our posts on goldfish care? Then check out our top 10 goldfish facts!